When you are in - charge of deploying and managing multiple kiosks that are located over a wide geographic location spread, remote kiosk management comes into play and becomes an essential tool to maximize resource utilization. Some features of interest include kiosk grouping, managing kiosk content, remote monitoring of the kiosk health and usage statistics. As a management agency, you are can manage kiosk content from a central location. Kiosks can be grouped according to performance, region or any other segmentation that is determined as necessary. Applying changes to a group of kiosks in automatically manage by our application. 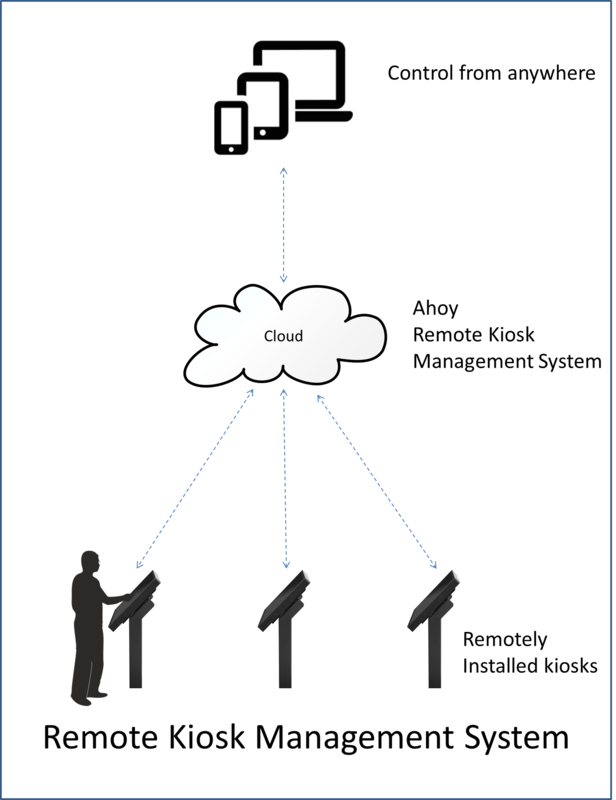 Managing kiosks with Ahoy Systems solutions can help minimize downtime, while increasing efficiency as well as the amount of available data, helping you make informed decisions about kiosk placement, usage and content.